Does your little one ask for Billy Beez by name? Enjoy our ultimate play park time after time with a 10-Pack admissions pass. 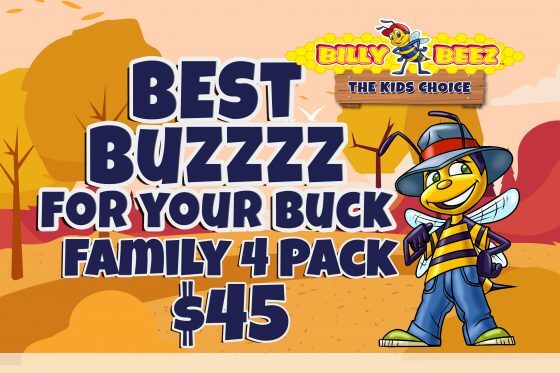 With discounted prices PLUS 1 free adult per visit, you and your little one will enjoy Billy Beez with incredible savings! 10-Packs can be purchased in store, visit your location for more information.